In these times of self-centred, unthinking celebrities, both of us agreed that the message displayed remarkable good manners, the sort of behaviour that has seasoned dudes like me remark on the splendid job his parents had done. 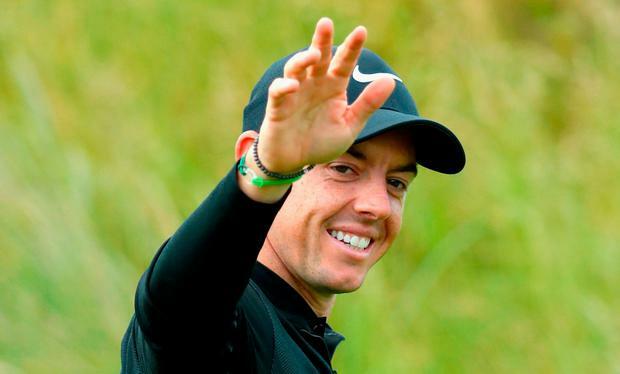 The truth is that McIlroy happens to be a genuinely good egg. And he's been that way for as far back as I can remember. Lots of examples come to mind. I especially remember when the Danish veteran, Anders Hansen, was recalling his first sight of McIlroy during the British Masters of 2007. How everything about golf seemed to come so naturally to 'this curly haired kid', that Hansen immediately sensed he was observing someone special. Speaking in Dubai in 2012, the then 42-year-old added: "What makes Rory even more admirable is that he's one of the nicest guys out here. I wouldn't say that of a lot of them [fellow professionals], but he is really that nice. He's a good boy who carries his stardom better than anyone I know in any sport. I can't think of anyone who comes close." Those words came back to me today at Portstewart, where McIlroy gave his traditional, eve-of-tournament press conference. In stark contrast to the growing list of players who view such an exercise as a major pain in the neck, McIlroy embraced it not simply in the manner of a polished professional, but as an entirely natural human being. His general demeanour spoke of a total acceptance of broadcasters and journalists with a job to do. And as the championship's host, he carried a certain responsibility to send everyone away in a positive mood. On the other hand, the notion of a conference as an unwanted trial, was frequently evident in the non-communicative responses from other important participants. And you could almost hear the grumbling from scribes who knew, before a word was spoken, that this was going to be a total waste of time. Which goes some way towards explaining the open hostility among the media towards Tiger Woods, when his life began to fall apart in late November 2009. 'What goes around, comes around,' seemed to come readily to their lips. We should have a terrific Irish Open this week. If we don't, it won't be for the want of effort from its admirable host.